This fun bird feeder is designed to look like a lovely Spring daffodil. 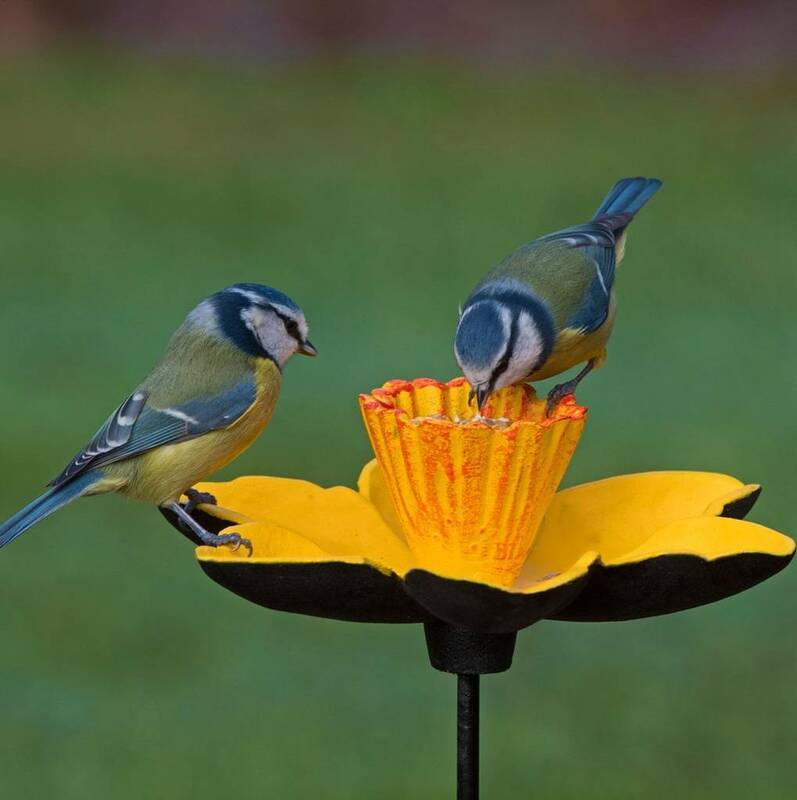 Decoratively painted and made from cast iron, this feeder is mounted on a strong metal stake for secure positioning in flower borders or lawns. 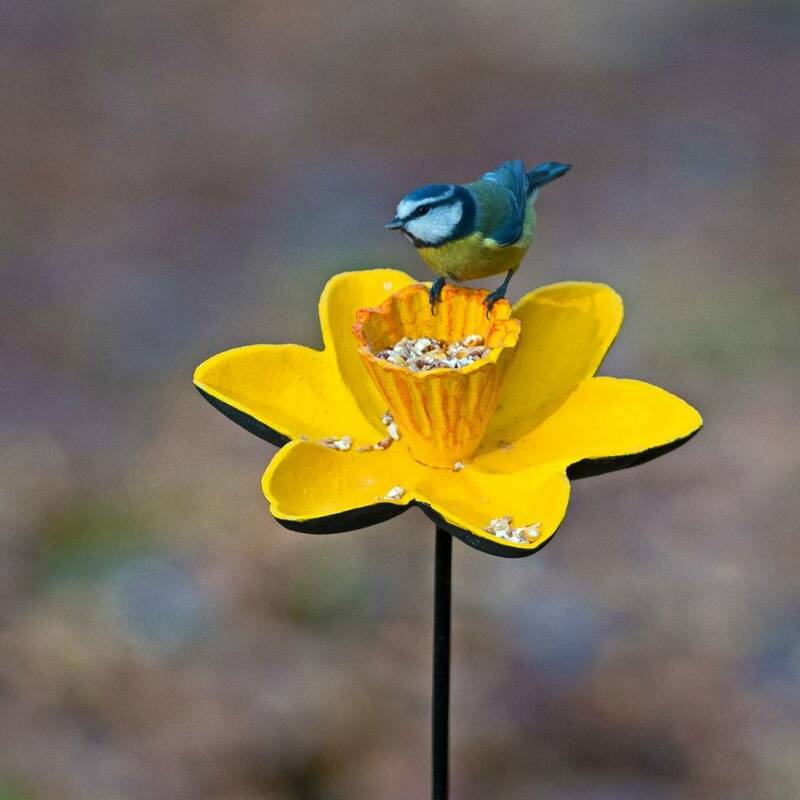 This daffodil bird feeder is suitable for bird food such as seed, suet, treats and mealworm and it's dish shape makes it ideal for also providing birds with a refreshing drink of water. A popular feeder, this attractive garden ornament is great for use all year round and makes a lovely gift for bird lovers.